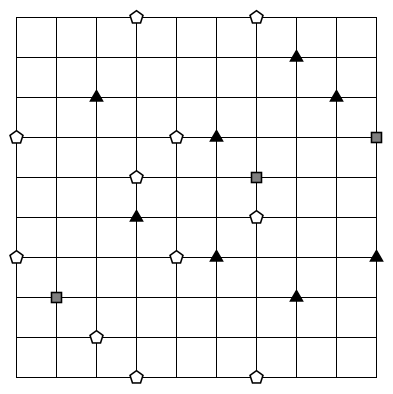 This is a Cave puzzle. This entry was posted in Puzzles and tagged cave, medium, standard on 2014-11-14 by rob. This is a puzzle I found in the depths of my puzzle folder. I probably made it after struggling with the puzzles of this type on the contest Best of HCS, which featured one that is thematically similar. EDIT Replaced by a non-broken if less pretty version. 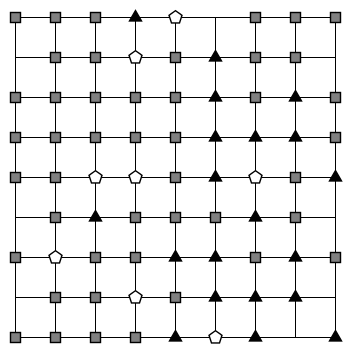 Rules Split the grid into 5 orthogonally connected areas of 5 cells each. 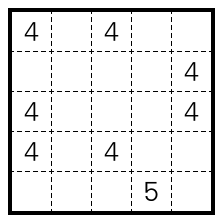 The given numbers indicate how many cells within the area can be seen horizontally and vertically, including the cell itself. 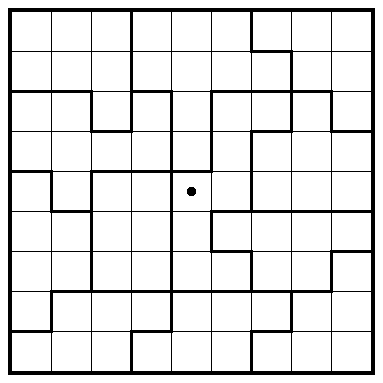 The givens are in those cells where this number is maximal for the corresponding area. 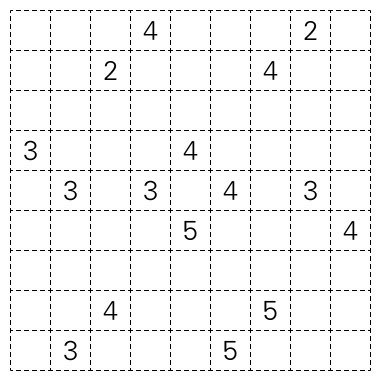 Or see the puzzle wiki for German instructions that include an example. This entry was posted in Puzzles and tagged aussichtspunkte, easy on 2014-11-10 by rob.